The U.S. Federal Reserve raised interest rates on Wednesday and forecast at least two more hikes for 2018, highlighting its growing confidence that tax cuts and government spending will boost the economy and inflation and spur more aggressive future tightening. In its first policy meeting under new Fed chief Jerome Powell, the U.S. central bank indicated that inflation should finally move higher after years below its 2 percent target and that the economy had recently gained momentum. The Fed also raised the estimated longer-term “neutral” rate, the level at which monetary policy neither boosts nor slows the economy, a touch, in a sign the current gradual rate hike cycle could go on longer than previously thought. “The economic outlook has strengthened in recent months,” the Fed said in a statement at the end of a two-day meeting in which it lifted its benchmark overnight lending rate by a quarter of a percentage point to a range of 1.50 percent to 1.75 percent. Powell, who took over from former Fed chief Janet Yellen in early February, said the central bank was staying on a path of gradual rate increases but needed to be on guard against inflation. “We are trying to take the middle ground here,” Powell said in a press conference after the end of the policy meeting, adding that there were no signs the economy was on the cusp of accelerating inflation. The rate hike was widely expected. All 104 economists polled by Reuters from March 5-13 said the Fed would increase borrowing costs this week. U.S. stocks rose after the policy statement before paring gains to close lower. U.S. Treasury yields fell and then recovered. The dollar .DXY recorded its steepest one-day loss in nearly two months against a basket of currencies. “The guidance in terms of the future rate hikes is a touch more hawkish than originally expected. 2019 looks like we’re going to get a faster pace of rate hikes,” said Matt Miskin, market strategist at John Hancock Investments. The rate hike was the latest step away from years of stimulating the world’s largest economy in the wake of the 2007-2009 financial crisis and recession. The Fed tightened policy three times last year. The combination of $ 1.8 trillion in expected fiscal stimulus from the Trump administration and recent hints of price and wage pressures had prompted some Fed officials to speculate more Americans could be drawn into an already tight labour market. Some even worried inflation could rise well above the Fed’s target if the economy got too hot. Policymakers were largely split on Wednesday as to whether a total of three or four rate hikes would be needed this year. They predicted rates would rise three times next year and two times in 2020, a further indication of their view that the economy is on solid footing. 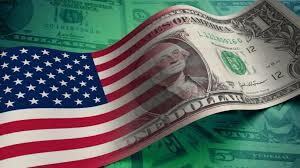 “The Fed seems to be gaining confidence,” said Brian Coulton, an economist at Fitch Rating in London. Fed policymakers projected U.S. economic growth of 2.7 percent in 2018, an increase from the 2.5 percent forecast in December, and also marked up growth for next year. The Fed’s preferred measure of inflation was expected to end 2018 at 1.9 percent, unchanged from the previous forecast, but it is seen rising a bit above the target next year. The U.S. unemployment rate by the end of 2018 is expected to edge down to 3.8 percent, indicating the Fed sees more room for the labour market to run. Fed officials predicted the longer-run rate would settle at 4.5 percent, slightly lower than the forecast from December. U.S. joblessness stood at 4.1 percent last month. While recent home sales and retail spending data have been on the weak side, the overall economic picture has brightened after growth accelerated to 2.3 percent last year. Before the meeting, analysts were split over whether the Fed, which is wary of an early misstep under its new leadership, would raise policy tightening expectations until more price pressures are clearly evident. There are also looming outside risks to the economy such as a possible global trade war. “This is a new risk (that) had been probably a low-profile risk, but which has become … a more prominent risk to the outlook,” Powell said, adding, however, that the trade tensions had not affected the Fed’s expectations for the economy. Mark Cooper is Political / Stock Market Correspondent. He has been covering Global Stock Markets for more than 6 years. All the math you need in the stock market you get in the fourth grade.